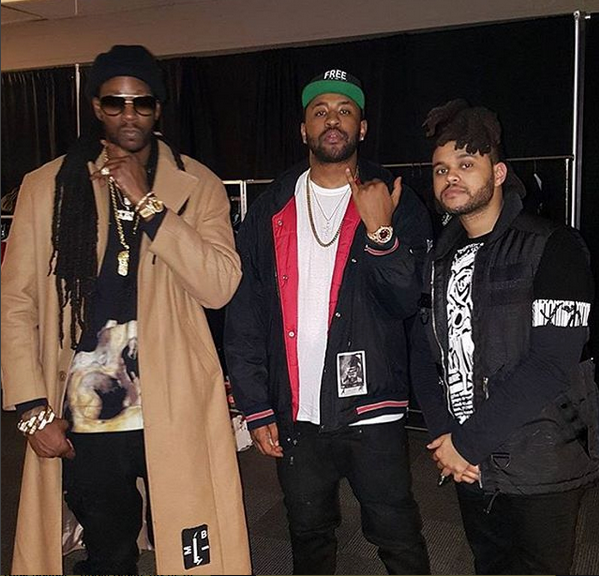 This past weekend, after linking up with The Weeknd when he slid into Atlanta (above with Mike.Will.Made.It), 2 Chainz and his charity organization, the T.R.U. Foundation, donated a minivan to a local Atlanta family in need through proceeds raised from 2 Chainz’s popular “Ugly Sweater” collection. You've seen the previous stories about the rapper paying the mortgage of a military vet in need, now Mr. Chainz is still spreading Holiday cheer around his hometown. 2 Chainz heard about Damien Walker and Tamifonika Jones’ family of four children and how they lost everything in a recent fire. The story about the fire was all over the Atlanta news. Unfortunately, one of their four children, 7-year-old Antonio, suffered from major smoke inhalation that has left him with severe brain damage. He is currently undergoing rehab to learn how to walk, talk, regain his vision and get back to 100%. Since September, the family has been able to secure housing. Still, they don't have a vehicle that can accommodate the entire family, as well as Antonio's wheelchair, that can assist in getting them back and forth from the hospital (the rest of the family also had complications from the fire). The "Earned It" singer was in town to perform this week, so he took some time out to visit a few kiddies and lift their spirits. “He went to an afterparty at a private house in LA,” the source tells Life & Style, adding that The Weeknd started flirting with the two ladies: one petite and dark-haired, the other a tall and curvy blonde. Supposedly this all happened after his album release party for Beauty Behind the Madness in August, which was just three months after he began dating 19-year-old Bella. Sounds like a pop singer being a pop singer and two chicks likely looking for a come up.